Houseplants, who doesn’t love them? They are aesthetically pleasing, purify your indoor air and can brighten up just about any space. They are the perfect, inexpensive way to change and freshen up just about any room. If you don't have a green thumb, picking a plant that has a chance of surviving longer than a month can be a bit challenging. We've put together a list of five plants that are some of the easiest to care for as well as versatile for any space. Oh, and did we mention how easy they are to take care of? This plant is definitely the easiest plant to take care of and it’s also a good one to have around the house. Not only can the leaves from Aloe Vera be used for the healing of cuts and burns, but you only have to water it when the plant’s soil is completely dry, which can be every two to three weeks (depending on your climate). 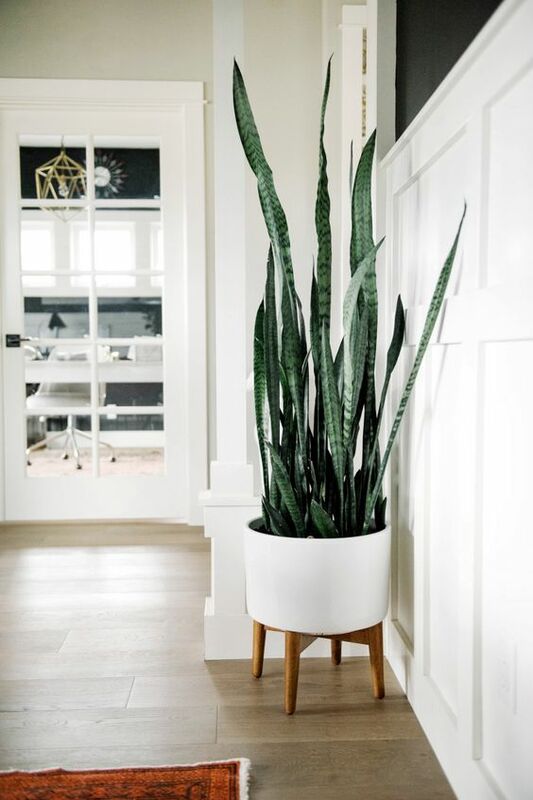 Also known as the Mother-in-Law’s Tongue (oof), the Snake Plant is a pretty popular houseplant and is the best kind for those who forget plants need love. It thrives in a pot and rarely needs sunlight or any attention at all. 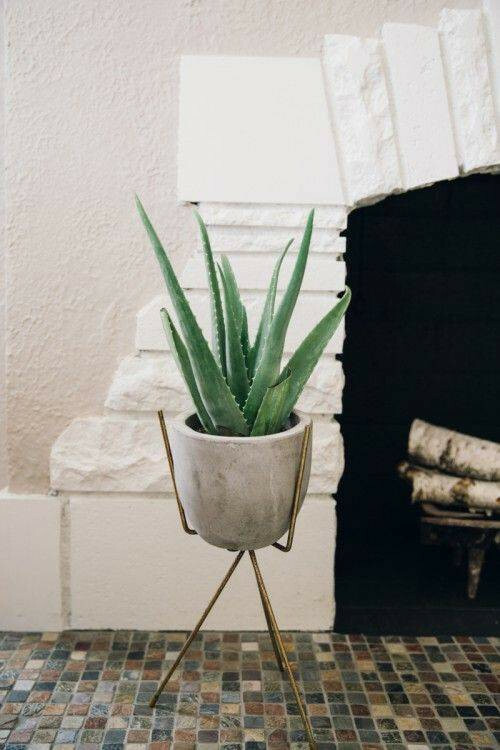 Place it in the bedroom —possibly in a cute plant stand like this one—since it does an excellent job at releasing oxygen at night. Talk about a plant that thrives in what some would think are intolerable conditions! This plant, with its colorful green leaves, is a very durable houseplant that can grow exponentially in poor light and in pretty much all conditions. Although it prefers humid air, misting it a few times every week is an easy fix if the air is too dry. The plant that can prosper in extremely low temperatures and bright but indirect sunlight. 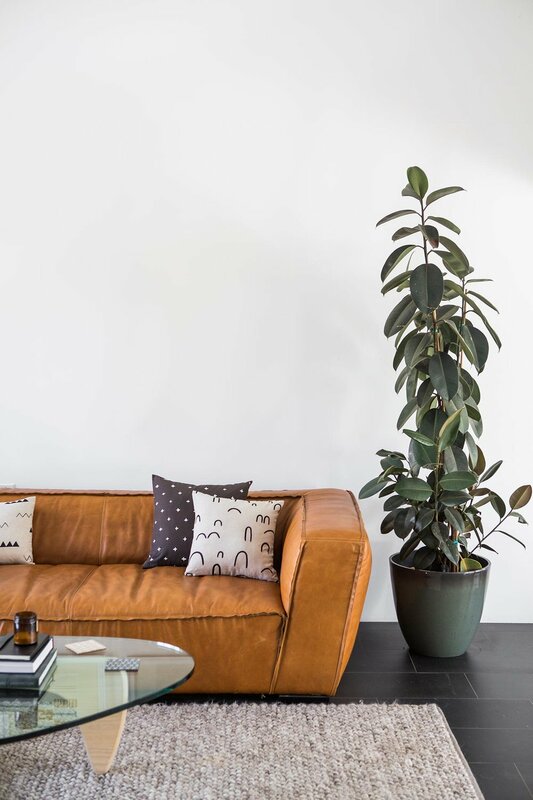 The rubber plant can grow up to 8 ft tall, but if you’re not up for it, just make sure to keep them in a small pot. Keep the soil most in the summer and a little drier during the other seasons. 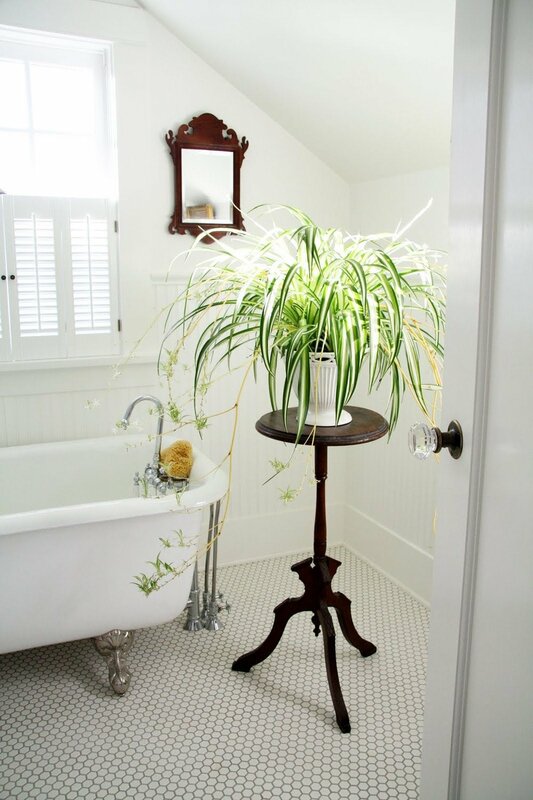 The Spider Plant is the houseplant that can easily adapt to almost any condition. It's the perfect plant to place in the bathroom since they don’t really like a lot of direct sunlight, and it's super pretty in hanging baskets and pots. Although they are easily adaptable, it’s best to keep the soil moist and use distilled or purified water when watering them. Welp, there's our list on the top houseplants just about anyone would have a hard time killing. Also, all of the plants listed, except for the Chinese Evergreen, are pet friendly. Of course we thought about your four-legged friends as well! Comment below and let us know which one is your favorite or any other tips and tricks dealing with houseplants! Moving in together is a big step. As cute and romantic (and sometimes scary) this step may be, we want to suggest a few tips to help with the decorating process of it. How do you make a compromise with your significant other so they won’t hold on to that one thing you absolutely despise? How do you try and get your dream of having a velvet blue couch in the living room when they are not into it? 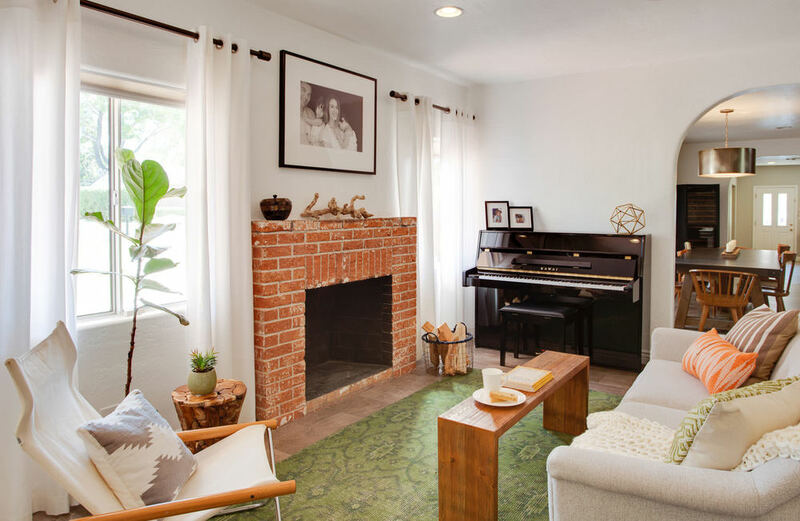 We've all heard how the secret to a great relationship is communication, and that factor definitely plays a role when designing a new space for the two of you. Communication is key to finding the right balance and design when merging into a new space with your love. Pinterest is your mutual bestie. 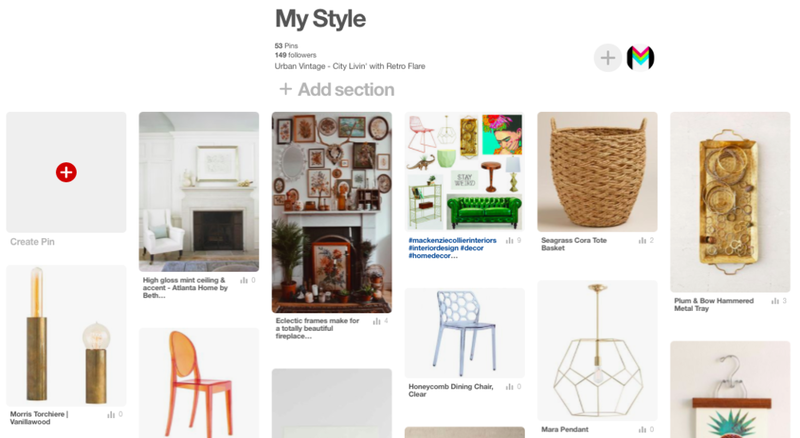 Get to pinning. 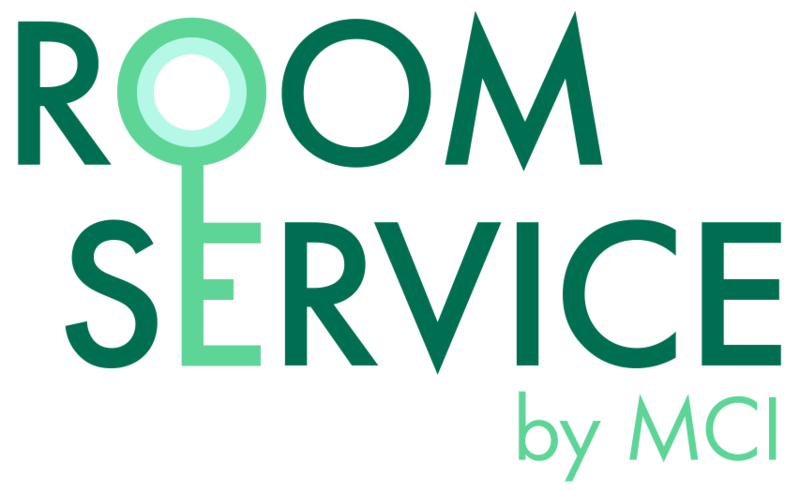 Both of you create a Pinterest board and pin every design-related thing you like: your favorite bathroom designs, living room furniture, bedroom lighting, art, color palettes—anything and everything you like, pin! Get ideas flowing so you have some concrete ideas of what you do and don't like. Time to hear each other out. Compare your boards and (nicely) point out what you like and don't like from both of them. Look at the mood boards side by side; there HAVE to be common elements. Find them. (White walls? Good lighting? A certain color?) Make a list of what you have in common. Create a third mood or Pinterest board that shows only the items/qualities/features you both agree on. Maybe there's enough to go on with this? If not, expand on the things you have in common to find new ideas that are cohesive with what you both agree on. If you are creative enough, you'll find them without having to duke it out. Remember, this space has to express both of you guys—so be open! The more open you are, the fewer arguments you’ll have. For all the items you don't agree on, priority should go to the person who spends the most time in a given room. 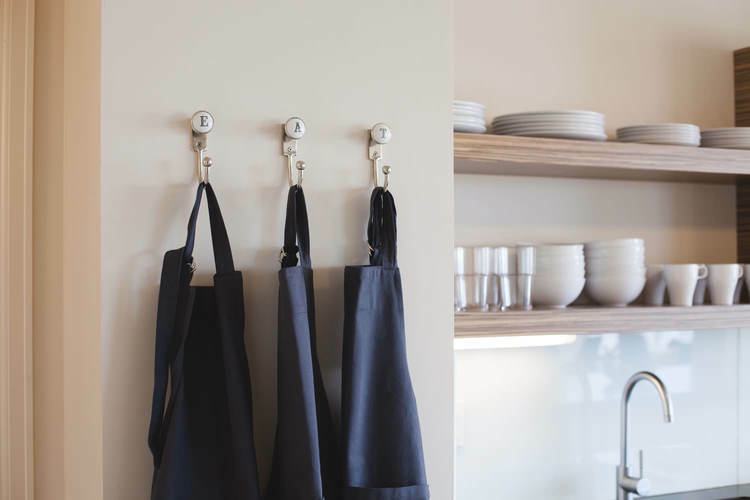 For example, if the closest thing you do to cooking is putting your Postmates order on a plate, but your partner is a part-time chef at home, then you probably shouldn’t have the first pick on all kitchen decisions. Whoever spends the most time in a certain space should get a final say on decisions involving that area. That seems fair, right? Still can’t decide on what should be done in the dining room? Let the architecture of your space be the final judge. There are certain color schemes, furniture shapes, etc. that just suit a specific architecture type. Research your space and the architecture associated with it and look at what works best. When in doubt, ask an Interior Designer!